this book just shows what some people will do for freedom.And what we take for granted in the West is not free we have to fight for it that simple This a excellent book of the highest quality we’ll worth buying very much a spy masterpiece,good for all ages to read. As good as it gets with spy stories. John Le Carre is right (see jacket cover). 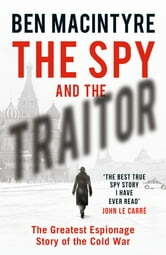 This story is about a Russian spy who was a member of the KGB in Moscow. 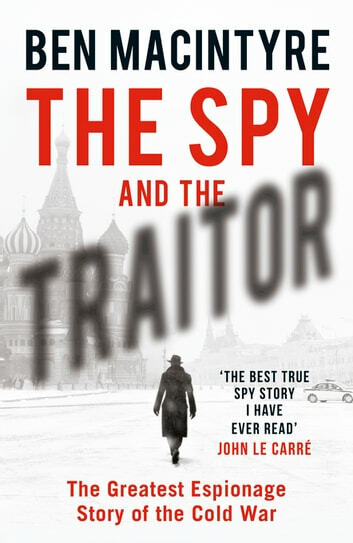 He transfers to the Russian Embassy in London and becomes a double agent with the rank of KGB Colonel (no spoilers here - this really happened). Eventually he is forced to undertake an escape from Moscow and get back to the West. This is the story of his courage, tenacity and desperation. The insight into international espionage is deep and explained in detail. The circumstances of his defection are, to put it simply, exciting. No reader will be surprised by the role taken by the CIA in the final proceedings.